Bring a Toy for Toys for Tots! There were tears and smiles, hugs and handshakes, kudos and thanks, and it was all topped off by checks totaling $21,000. It was, in and of itself, a nice little party, but it paled in comparison to the partying that made it possible. The occasion was the distribution of proceeds from the What A Country Challenge, the brainchild of Discovery Bay’s Frank Morgan and his “Team.” What started as a plan to celebrate Morgan’s earning a master’s degree turned into an effort to raise money for local veterans. The team threw down the gauntlet, challenging others to party, pass the hat and contribute to the well-being of the men and women who protect Americans’ privilege to have such fun. The idea swept East County and beyond like wildfire: About 800 people attended Morgan’s party (which also sprawled across six neighbors’ homes); another bash was held at the Discovery Bay Yacht Club; a Car and Motorcycle Show was sponsored by Red Barn Hot Rods; a red, white and blue hot tub was carted around far East County on a “Freedom Tour” by Ed McClellend; jumpers from Bay Area Sky Diving dropped in; three bands played, sponsored by Bill Brandt Ford; and a Vietnam-era Army helicopter sat on the front lawn as a decoration, courtesy of Harvest Park Bowl. Laurie Yglesia of Discovery Bay spent $400 on a special magnum of wine labeled in memory of Iraq casualty Spc. Joey Graves – and she doesn’t even drink wine. Restaurants, Web masters, party suppliers and supporters of all types all came together (for a complete list of all 200 or so, log on to www.whatacountrychallenge.com and click “sponsors”). National organization providing services and support to severely injured service members. Raises donations of money, building materials and professional labor, coordinates building a new home or adapting an existing home for severely injured veterans, and then gives the home to the vet at no cost. Mothers of local service members who provide support for each other and send packages to troops overseas. Kevin, the father of Spc. Joey Graves, will use the money in the Joey Graves Foundation to promote veterans’ causes such as the pursuit of Gold Star license plates for the families of those who have made the ultimate sacrifice. The Brentwood Veterans Building is a place for all veterans to socialize and meet on a regular basis for veteran activities. The Board of Directors is in the process of remodeling the outdated bathrooms in the building so they are ADA compliant. Don Anthony is a veteran who has undergone hip replacement surgery and suffers from other ailments. Sandy Anthony has been diagnosed with inoperable brain and lung cancer, along with many other health problems. The Knightsen family, which includes three teenage daughters, has lost its home and is currently searching for a place to go. Morgan closed by reminding the crowd that the What A Country Challenge wasn’t a one-party event. His team is looking into monthly events to continue to raise money, and promises another major party next summer. Brentwood Veterans Memorial Building, Inc.
BRENTWOOD, CALIFORNIA (June 3, 2009) Trustee George Martinez announced today that the Brentwood Veterans Hall has been awarded a $50,000 stimulus grant to renovate the 84 year old building. “This grant will enable Brentwood veterans to begin the process of renovating Veterans Hall up to ADA standards to better serve veterans and the Brentwood community ”. Brentwood Veterans Hall is managed by a Board of Trustees consisting of American Legion, Marine Corps League and Veterans of Foreign Wars members. The Hall is dedicated as a living memorial to the memory of those who sacrificed their lives to preserve our freedom and to honor the service of veterans and active duty men and women. “Brentwood veterans welcome this beginning and remain committed to the raising of sufficient funds to finish renovating the Hall in compliance with Americans with Disabilities Act (ADA) regulations, to build a kitchen, and to make the building more energy efficient” Martinez said. Donations to the Brentwood Veterans Memorial Building fund can be mailed to BVMB, 2420 Sand Creek Rd #C1 l21, Brentwood, CA 94513. 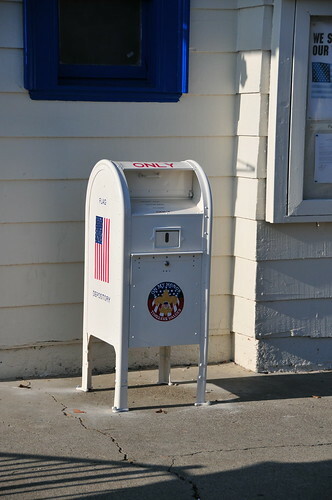 I want to thank you for provided a flag retirement box in front of the Veterans hall. It is the most appropriate place for one in Brentwood. As veterans we appreciate young men and women who have patriotic attitude to provide the community with a means to properly retire US flags. Old Glory has provided an inspiration for countless millions in this and other countries. For those set against the freedom of all peoples, they fear what it stands for. That such a piece of cloth in three colors should cause such great inspiration and such fear is a testament to the ideals it stands for. We the Brentwood Veterans Memorial Building Board of Trustees are honored to host your Eagle Scout project. May it continue to serve this great community. It’s stood sentinel on the corner of First and Maple streets for 84 years, honoring veterans and providing a venue for countless community activities. And while the events are scheduled to continue unabated through the spring and summer, a major effort is getting underway to enable it to continue its mission far into the future. 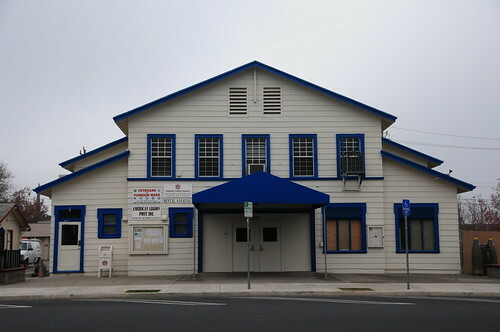 Built in 1924 as a place for World War I veterans to gather, the building belongs to Contra Costa County, which leases it back to the veterans for $1 per year. There’s no money to maintain or improve it, however, so all upkeep and improvements have been accomplished through renting the building for community events, holding fundraisers, securing occasional grants from the City of Brentwood and the efforts of veterans and local service clubs. Over the years that has meant new air conditioners, kitchen equipment, flooring and paint, but a recently assembled group wants to make even more significant upgrades. “As a memorial, we want it to reflect the importance of the veterans it was built for” and all those who have served since, said Don Hester of the Marine Corps League. The American Legion and Veterans of Foreign Wars also use the building, and members of each are on the board of the new Veterans Memorial Building charity set up to care for the hall. Planned improvements include a remodeled kitchen, ADA-compliant bathrooms, a new flagpole and a general sprucing up of the décor. Rough estimates put the costs at more than $200,000; precise numbers are currently being put together. In addition to an effort to attract more rent-producing events (starting at about $400, the rates are competitive with other local venues, the vets say) the group is planning a number of events of its own. The first is a Casino Night set for May 1, which will include Texas Hold’em, craps, roulette and blackjack. There will be door prizes, silent auctions and raffles, and food and drinks will be available. Tickets are $25 in advance; $30 at the door. Cocktail hour starts at 5:30 p.m. and games begin at 7. Other events will follow, but throughout them all, the veterans who gather at the hall regularly say the goal is the same: Honor and serve the vets who meet there, while continuing to provide a place where Boy and Girl Scouts can meet for free, where the Women’s and Men’s clubs can get together, and where literally tons of fresh crab, spaghetti and tri-tip can be consumed to benefit the community. For tickets to Casino night or to arrange to rent the Hall, call 925-634-0736.